The end of November and the beginning of December have always been the hardest time of the year. Knowing that Christmas is so near, but being suffocated by all assignments, exams and deadlines. In such a stressful time we need a lot of energy and positive vibes. And although money cannot buy happiness, it can buy food, which is basically the same. 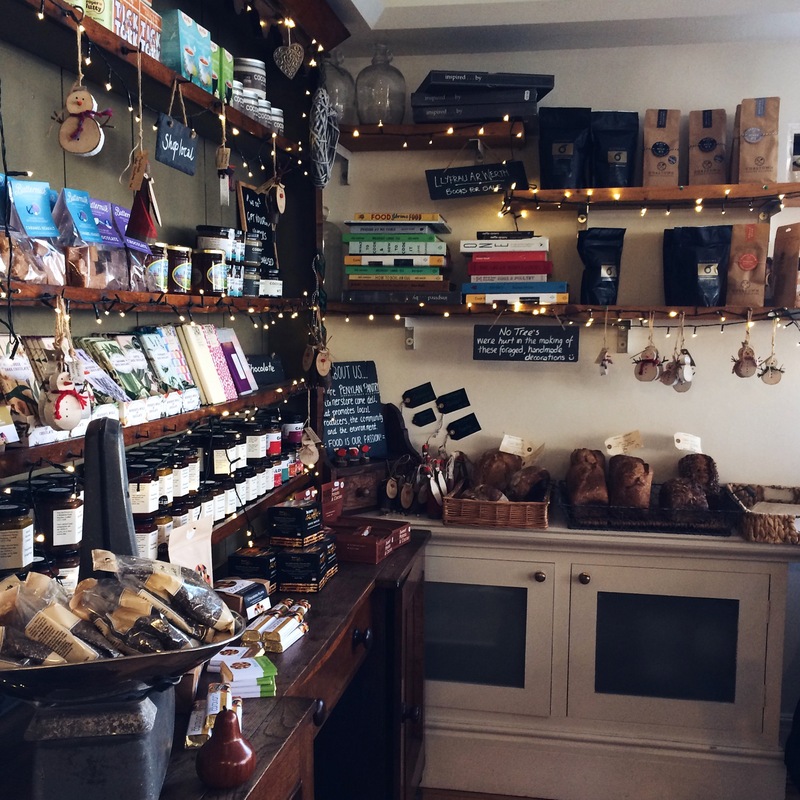 As an #Ordoo Ambassador I have the opportunity to visit local restaurants and cafes and find the best ones in Cardiff. 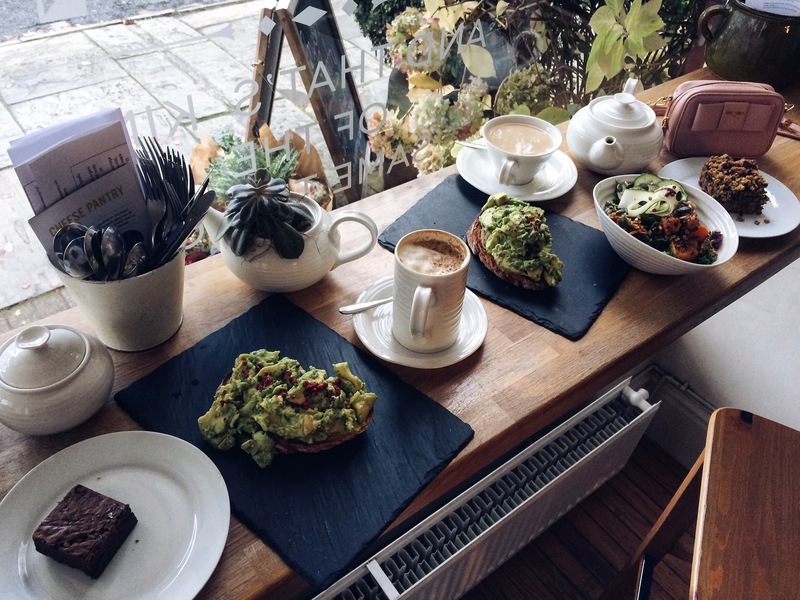 Having said that I cannot wait to share with you the best breakfast/brunch spots in Cardiff. We will start of with one of my favorite breakfast types: crepes or waffles. Although they are easy to make at home it is so much better if somebody else does the work for you early in the morning. I have to admit that I had quite a late breakfast at Creppe Affaire and it was leaning more towards lunch time, but oh my…I walked into the shop and was welcomed by the smell of fresh pancakes, fruits and chocolate. The guy at the desk must have thought that had not eaten for days as I struggled to choose, because trust me when I say this everything on the menu sounded amazing. Finally, I decided to go with a savoury crepe with ham and cheese, a crepe with maple syrup and a waffle with strawberries. I would definitely recommend the maple syrup one just because it tastes like Christmas…and what could be better for this season? As a person, who has been in the UK for more than a year now I still had not tried traditional English breakfast. The people at #Ordoo told me that Garlands Eatery is famous for their extremely delicious English breakfast. So last Sunday my boyfriend and I decided to visit it and have a bite. It is quite busy on Sunday, but we managed to find a free table. The staff was extremely friendly and the food was well prepared and had the authentic English vibe to it. I would definitely recommend Garland Eatery to everybody that lives or is visiting Cardiff. I know that I will take my family there, when they visit. I really enjoyed the time I spent at Milk n Sugar in Cardiff. It is a quite famous and busy place in town just right next to Queen Street. The interior is new and minimalistic, and the food is out of this world. They always have fresh ingredients and offer choices for vegetarians and non-vegetarians. As per usual I ordered avocado toast (my current obsession), when ordering it make sure to ask them if they can put basil in it. You will not regret it. Placed in one of the more quiet arcades, Waterloo Tea House is a must visit for all coffee and brunch lovers. It offers some very interesting and out of the ordinary choices. 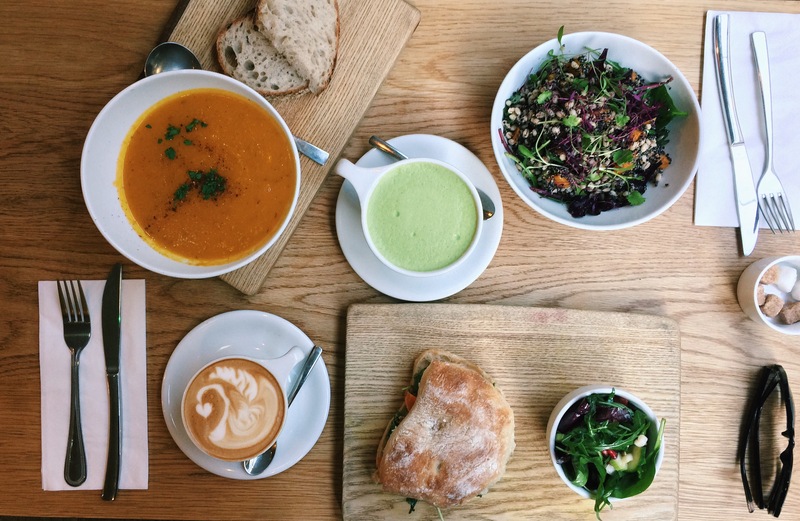 Waterloo Tea House has some very delicious salads, soups and sandwiches. Moreover they offer amazing coffee, which they decorate magnificently. Pennylan Pantry is a little far away from where I usually go, which is the city centre, but it is a must-visit for everybody. It is this cosy little place in a very quite area of Cardiff. I went there with a friend of mine and we had an amazing time. First of all they offer choices that are suitable for both vegetarian and non-vegetarian. Additionally, they have a wide selection of delicious vegan cakes and chocolates and some mouthwatering salads. Currently, it is decorated with Christmas lights and ornaments, which brings to an extra cosy, home-like feeling to it.